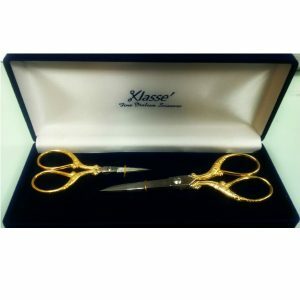 Made from solid stainless steel, these traditionally styled scissors are easy to clean and will last a lifetime. 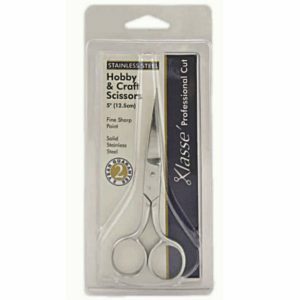 Convenient mid-size scissors, with a sharp fine point perfect for a wide variety of crafts and other uses. Genuine 2 year Klasse Guarantee – the name you can trust in quality steel ware. Ideal for your craft basket, or as a thoughtful gift. 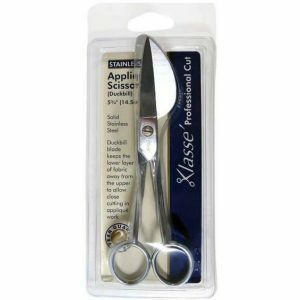 Klasse applique scissors – 4.75″ with duckbill blade which keeps the lower fabric away from the upper layer to allow close cutting in applique work.